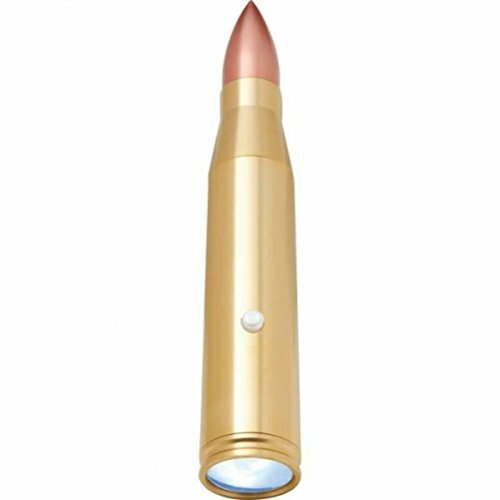 Features brass construction, 1 high power bright LED bulb, and push button switch. Requires 2 aaa batteries (not included). measures 7/8" in diameter x 5-3/4". patent pending. Gift boxed.